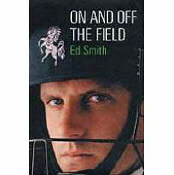 The story of the 2003 county cricket season from the Kent number three batsman. It begins with the horrific pre-season eye injury to captain David Fulton but by mid-July it turns to triumph as Smith becomes the first batsman in the summer to reach 1000 runs. Availability : Available - please allow 7 days for dispatch.